Only World Group Bhd, a leisure and hospitality services provider, is scheduled to be listed in Main Market of Bursa Malaysia on 18th December 2014. The Initial Public Offering (IPO) consists of 56.4 million new ordinary shares at an IPO price of RM0.88 per share at RM0.50 par value. 43.15 million will be for private placement for selected investors, 9.25 million shares to the Malaysian public and 4 million shares for eligible directors, employees and person who contributed to the success of the company. The IPO will raise about RM49.64 million in proceeds. Out of this, RM30 million will used for KOMTAR Tower Revitalisation Project, RM13 million for business expansion, RM2.085 million for working capital & RM4.555 million is for listing expenses. Only World Group (OWG) was established in 1973. OWG is a leisure and hospitality services provider that incorporates the operations of food and services outlets, water amusement parks and family attractions. The company main income is from its brand restaurants such as Only Mee Fresh Noodles, Shanghai 10, Noodle & Lok Lok and QiQi Taiwan Cuisine. These food and beverage outlets are predominantly located at the main hotels in Genting Highlands. OWG also operates two franchised Marrybrown restaurants at two hotels in Genting Highlands. More information regarding the company can be found in Only World Group webpage. For the time being, Only World Group does not have any fixed dividend policy. The table below is the financial summary for Only World Group Bhd. Public Investment Bank is the Principle Adviser, Sole Underwriter and Sole Placement Agent of the IPO. For those who are interested in Only World Group IPO, you may subscribe at ATM machines or via Internet Banking. The subscription period is opened until 5th December 2014 at 5pm. Tentative balloting date is on 9th December while the allotment date is on 15th December 2014. 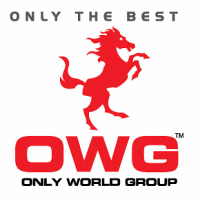 Only World Group stock name in Bursa Malaysia is “OWG”. View Only World Group prospectus in Bursa Malaysia webpage. What do you think about Only World Group IPO? Are you going to subscribe?